age and my brand of choice was Velveeta, but when I became an adult I started to appreciate the finer varieties). 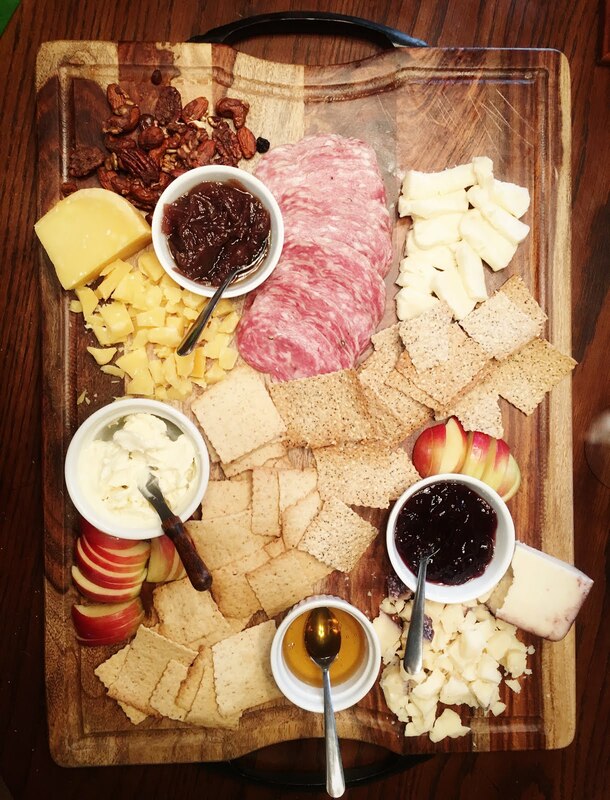 It seems some of my favorite impromptu dinners or lunches is a cheese plate — and when I say cheese plate I mean a cheese feast! 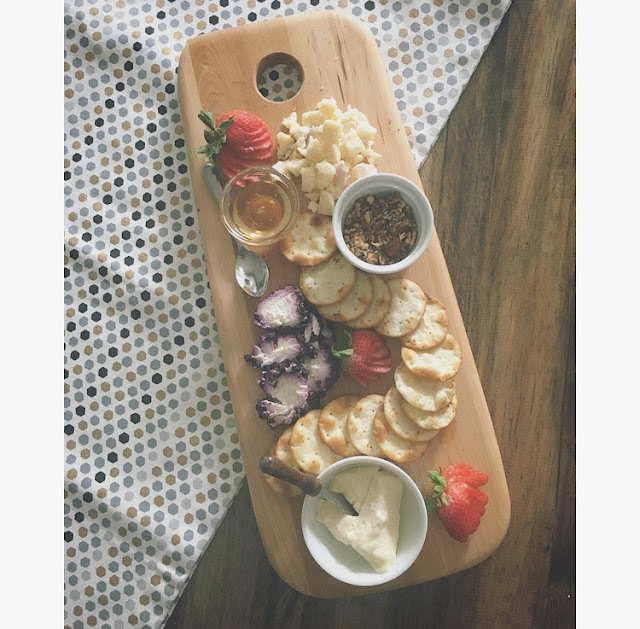 Sometimes cooking things can be a little intimidating to me (and time consuming), but I love getting to be creative and make up a free form cheese plate. So I thought I'd share some tips on making one of your own as well as showing some of the bits and bites we've put together on our plates as of late! - How many people are you serving? For plates serving 1-4 people I would pick up 3 types of cheese. You may have to make a second board from the leftovers, but I like having the variety of options for favor combinations. For over 4 people I would get at least 4 types of cheese, as you would typically be making a larger board and you would need to refill it less with 4 cheeses. - Does anyone have allergies? If people have nut or berry allergies, omit these from your plate. - What types of cheese are you partial to? There are so many types of cheese, so if you're new to cheese plating, you might need to do some exploration to find out what you like. 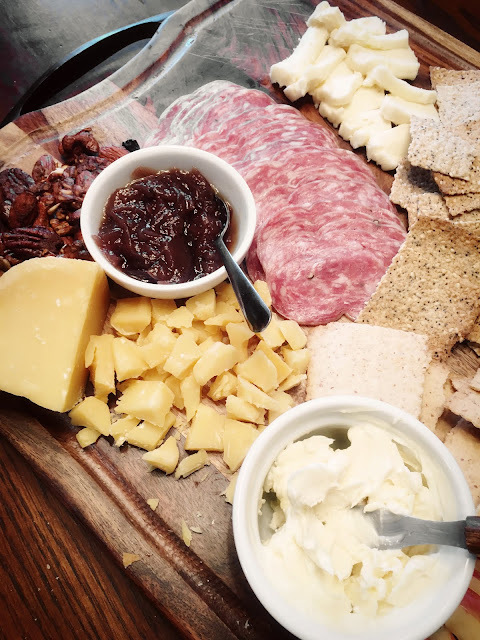 When we started making cheese plates a few years back we would ask people at the cheese counter to recommend cheeses, or we would just blindly pick and we figured out what we liked over time. Typically, we will choose one aged hard cheese, a semi-soft, and a soft cheese, so that the plate is well rounded on cheese texture. - Don't forget the accompaniments! 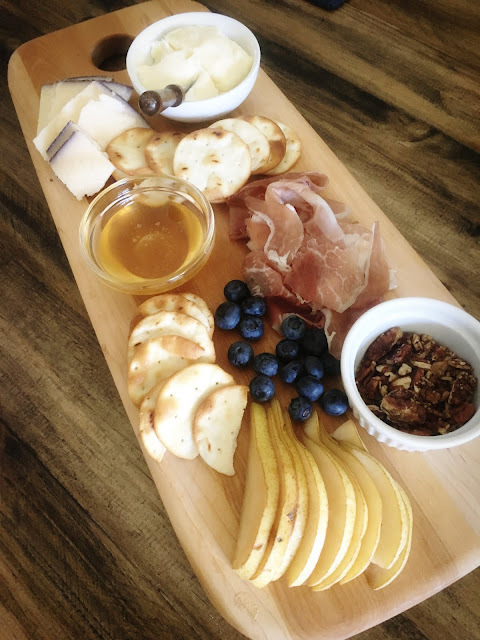 In addition to your cheeses, you will also want to shop for other savory bites to enjoy. I will often add a bowl of honey, fruit jam, an uncured meat like proscuitto, and fresh fruit or berries. And then of course, don't forget your crackers! I find it best to get crackers or thin toasts that celebrate the flavor of the grains — that have subtle but interesting flavor that isn't too over the top. Often I find if you get the 'sundried tomato' flavored crackers, that that flavor over powers everything else on the board. Save those for when all you want is mozzarella cheese. 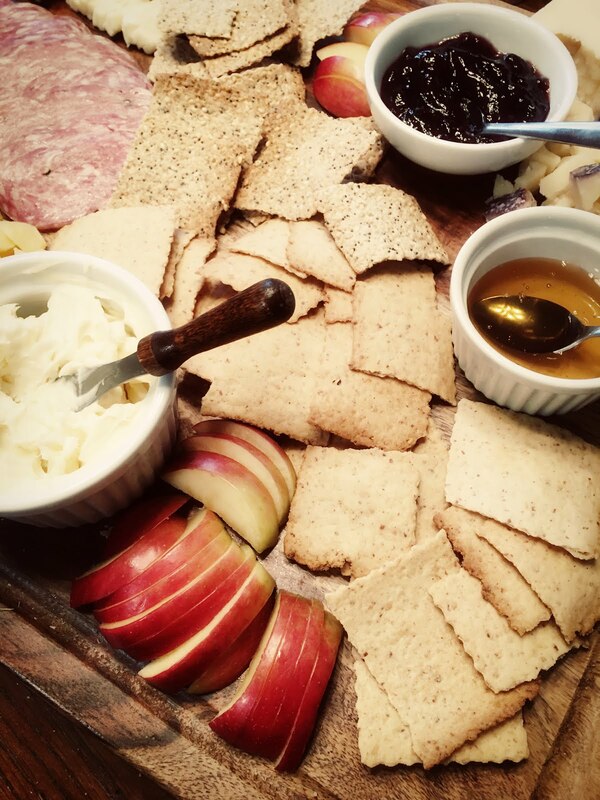 I'll throw in a shameless plug here for my mom's crackers — she sells them at farmer's markets in the chicago land area. Her business is All About Appetizers, and they are the best crackers I've ever eaten in my life. Finally, I'll share some of our recent boards that we loved!